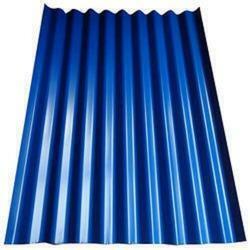 Our range of products include polycarbonate roofing sheet, polycarbonate clear roofing sheet, twinwall polycarbonate sheet and powder coated sheets. 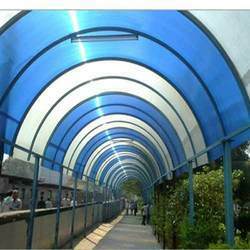 We hold immense expertise in catering to the variegated requirements of the customers by providing them with a wide array of Polycarbonate Roofing Sheet. 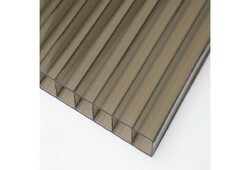 Gained by the years of industry experience, we offer to our valued patrons a wide range of Polycarbonate Clear Roofing Sheet. We offer our clients with premium quality products, which are fabricated using optimum grade raw material and employing latest machines and equipments. 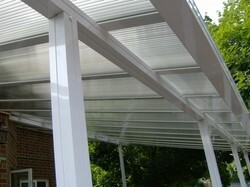 In order to ensure the premium quality, our products are fabricated under proper guidance of skilled professional.